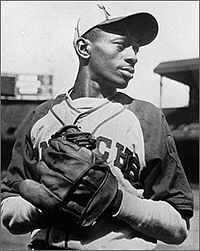 Satchel Paige was a remarkable fellow in more ways than I could possibly do justice to here. He had some rules for a long life, which I think are wonderful in so many ways. And here is the Heptone’s beautiful Book of Rules. This entry was posted in Music and tagged book of rules, Heptones, rules for a long life, satchel Paige by Claire. Bookmark the permalink. Nice one, TFD. Very bluesy. I think this might be an interesting RR topic – songs that seem to be about rules for living. Or something. Why not suggest it to the guru? Baldwin, B. G., Goldman, D. H., Keil, D. J., Patterson, R., & Rosatti, T.